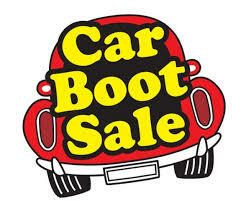 The Retirement Group has stepped into the breach and will be running a small car boot sale alongside the Flower Show at the Village Hall between 1.00 and 4.00 pm on Saturday 2 July. This is in place of the annual summer fete which regrettably has been shelved this year as no-one is available to run it. The Retirement Group is inviting local groups to bring their wares along for sale and there will be refreshments available for the children. Any enquiries please to Andrea Saunders, chair of the Retirement Group, on 01235 535448.